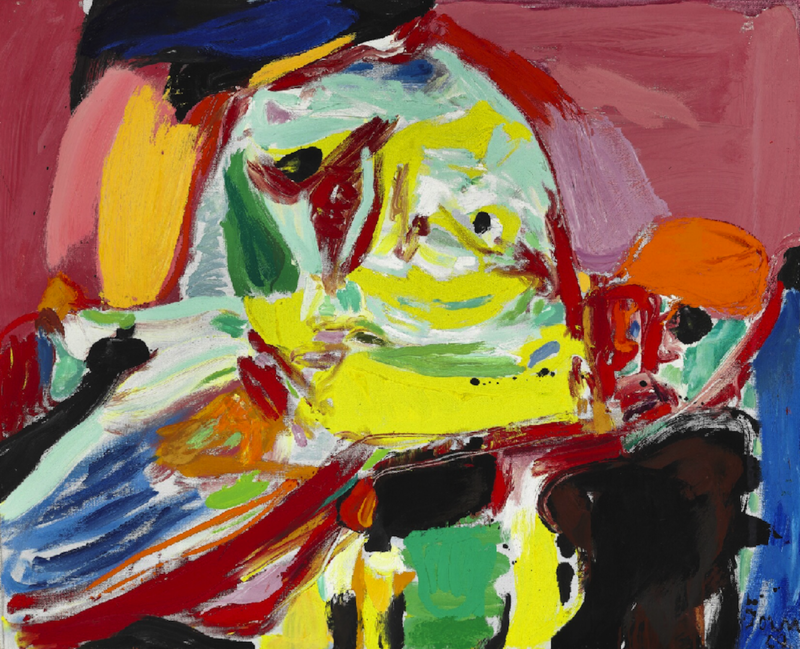 Find of the Week - "Quand la lumière se fait" by Asger Jorn | What is it worth? Our find of this week is this dynamic painting “Quand la lumière se fait” (When the light happens/occurs) by Danish rebel Asger Jorn. It is one of the most striking works in the highly anticipated CoBrA auction at Bruun Rasmussen Auctioneers on Bredgade. Jorn was educated in Paris at Fernand Léger‘s Académie Contemporaine, where he turned from figurative to abstract art. He worked with Kandinsky and Le Corbusier, perfecting his personal style of violently dynamic brushwork and expert abstractization, intensified with the impasto technique and bold colours. After the WWII, along with Christian Dotremont and Constant, he founded CoBrA, a European post war avant-garde art movement (COpenhagen, BRussels, Amsterdam) which unified a war-torn geography. CoBrA group artists were in search of an unconscious, a liberated anti-aesthetic imagery inspired by children’s drawings. Unlike their American counterparts, the Abstract Expressionists, CoBrA painters rejected dehumanized abstractization. They used subhuman figures that represented fear or humor and an interplay between the conscious and unconscious. Photo courtesy of Bruun Rasmussen Auctioneers.